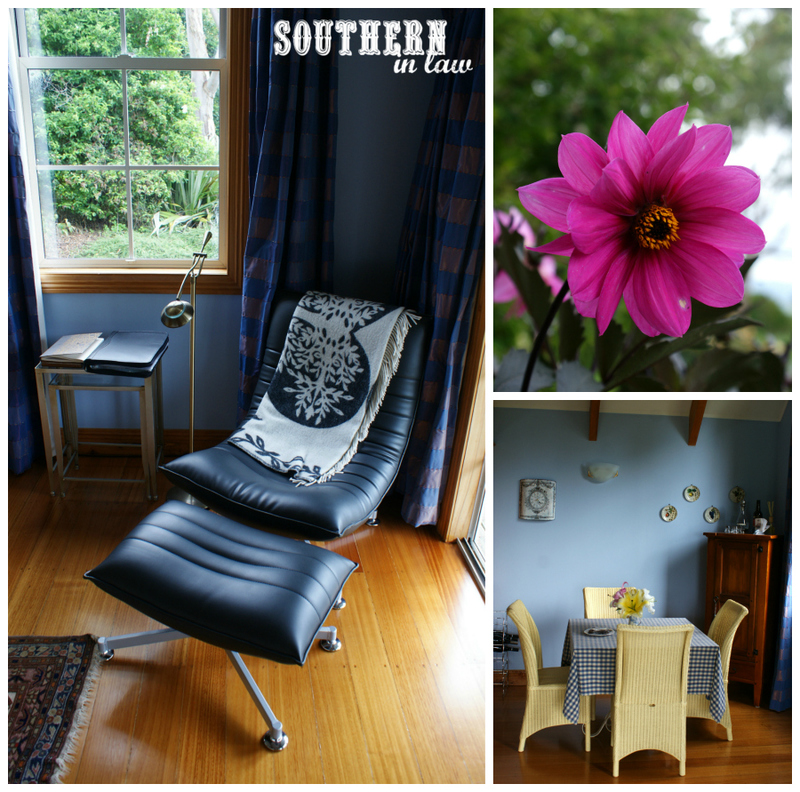 See more of our New Zealand Adventures & other travels here! 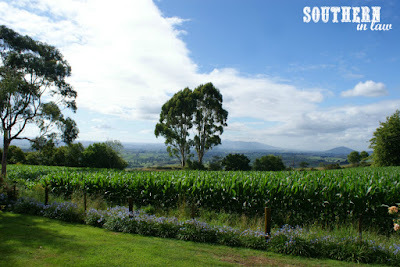 In our last New Zealand post, I shared the day that really was Jesse's reasoning for choosing to travel to New Zealand. 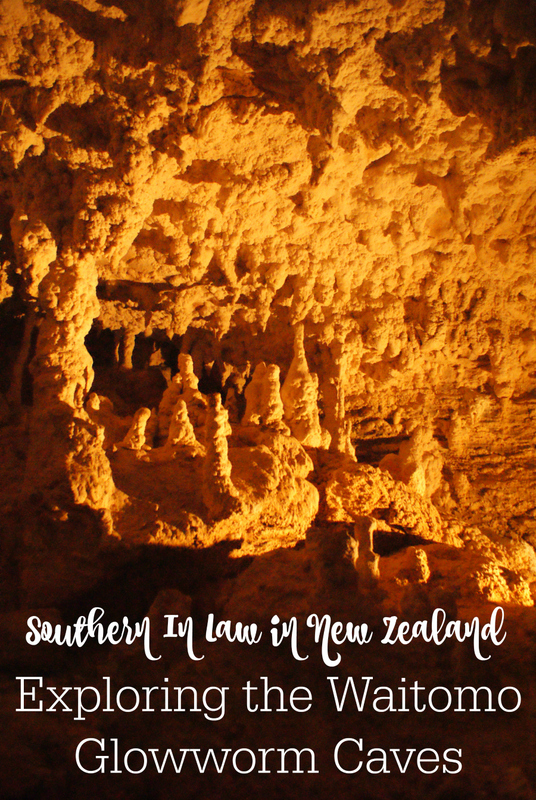 Our Ultimate Hobbit Day in New Zealand was the reason Jesse begged me to add New Zealand to our list of must-visit destinations - but I had some reasons to want to go too! One of those reasons was to tick something off my bucket list. I wanted to see glowworms. And ohhhhhhhhhhh glowworms did we see, my friends! Today, in our last New Zealand post, I'm sharing what really did feel like a magical experience as we headed underground to explore New Zealand's famous Waitomo Caves! 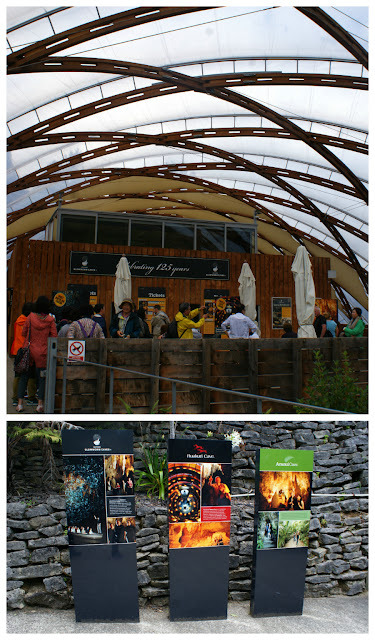 Our day started off here, at the main base for the Waitomo Caves. We arrived pretty early as we had a lot planned for the day ahead - starting with the Glowworm Caves Tour. Photography wasn't allowed on this tour, in order to protect the precious glowworms, however, we were taken underground by our guide with a group of 30 or so fellow tourists. The tour starts with a short walk through as you progress further into the cave - and finishes off with a quick boat ride where you're surrounded by the glowworms as you make your way through. 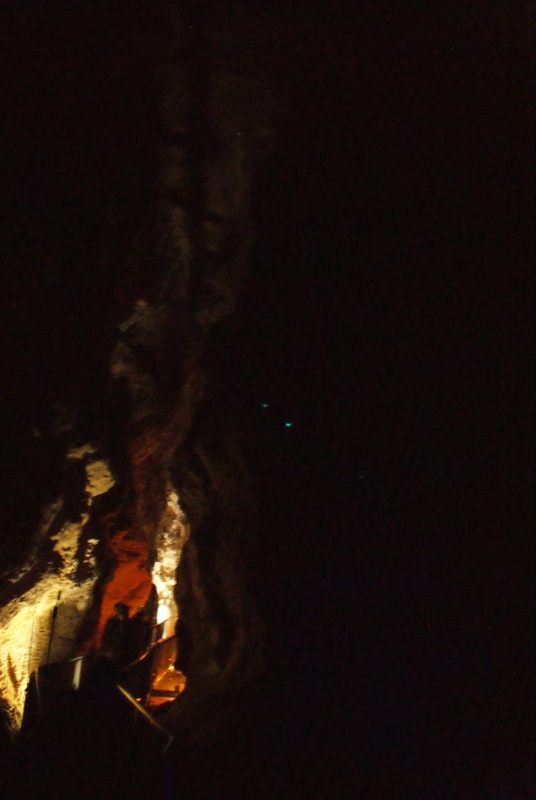 Whilst the glowworms themselves were impressive, the tour left a lot to be desired. It felt quite rushed at times as we were trying to keep up with the tour groups before and after us and the boat ride was much much quicker than we were expecting. Luckily, though, we had another tour planned - and others had told us this one was so much better (so much so that they advised doing the glowworm tour first because nothing could compare to what we were about to experience!). Our next tour was the Ruakuri Cave Tour. 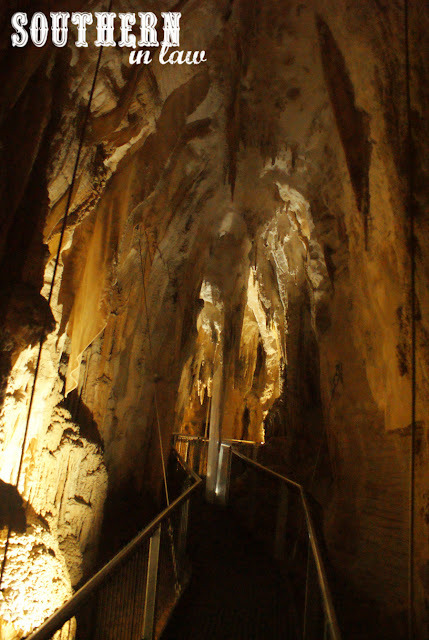 As the longest underground walking tour in the Waitomo region, the Ruakuri Tour takes around 2 hours and numbers are restricted to just 18 people per tour. We met our tour guide in the meeting spot, along with six other travellers who would be taking the tour with us. The tour starts in an artificial cave, however, our guide promised us that the inside was much much better and this wasn't a sign of things to come. 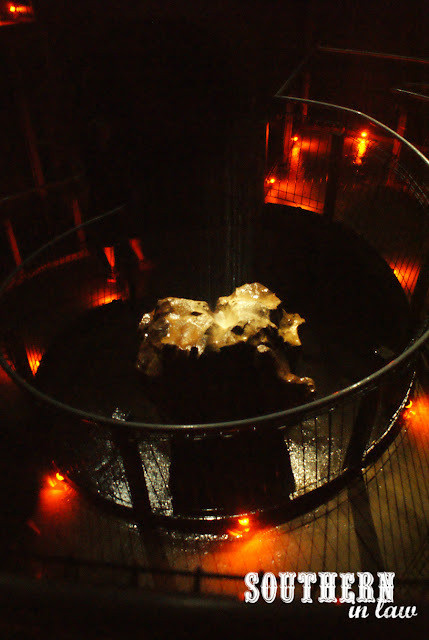 Winding down the spiral staircase, our eyes began adjusting to the darkness and we listened to the rhythmic dripping of water as it drips down onto the rock below. Our guide explained that the Ruakuri Cave has always been a spiritual place for local Maori and it was once used as a sacred burial ground. Originally the public entrance to the cave ran right through this burial ground, however, the spiral entrance was built to ensure that visitors no longer disturb this sacred place. After passing through the airlock (and feeling like we were in some sort of a James Bond movie :P), we found out that our guide certainly wasn't lying about just how impressive this cave was inside. 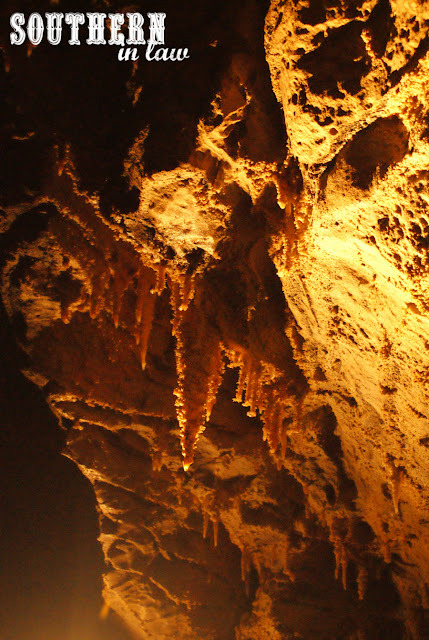 Stalactites clung from the ceiling as stalagmites desperately tried to reach up to meet them. 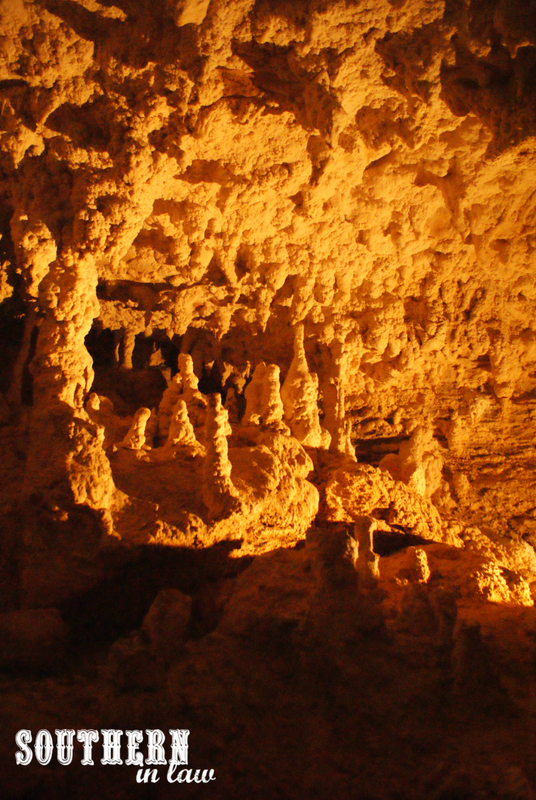 The cave is beautifully lit in a way that doesn't interfere with the experience at all. 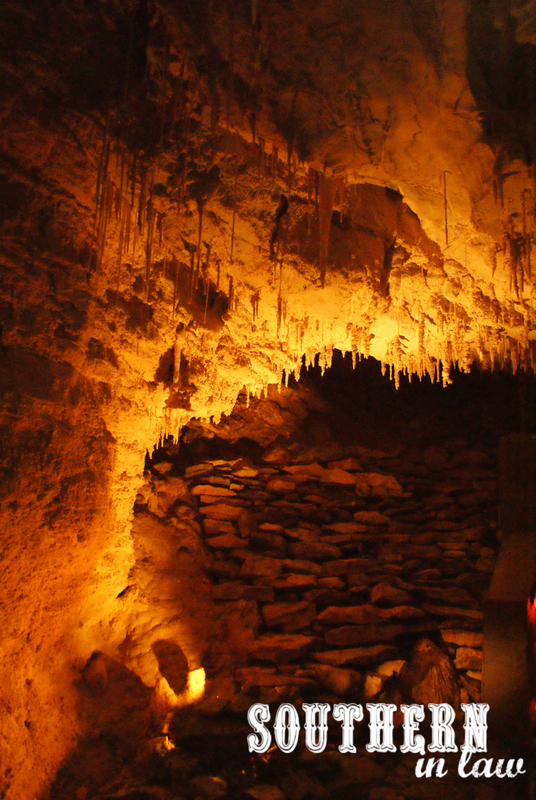 The cave is lit with an almost magical glow as you wind your way around the pathway. The cave was formed over millions of years, with softly folding formations formed by flowing rivers and fossilised seashells seen here and there - leaving no doubt that these caves were indeed once part of the seabed. Kristy did as Kristy always does and got chatting to our guide, Holly. I told Holly that we were a little disappointed by the glowworm cave tour and she promised me that she'd get us up close and personal with some glowworms to ensure we didn't return home disappointed. What most tourists don't know about the Glowworm Caves is that the Ruakuri Tour is actually one of the best ways to learn about and experience these fascinating little creatures. These little worms glow thanks to some pretty gross toxic chemicals in their digestive system and the ones you see glowing are actually in the pupae stage of life. You see, whilst the glowworms are dangling away on the web-like strings you see above (that's the glowworms there - you can click on the picture to enlarge it), the adult flies are on a mission. The male adult glowworm has one job; to mate. It has no stomach, no mouth and no digestive system... just... er... well you know what it needs to mate, don't you? The male has to desperately search for a female without getting stuck in those sticky strings (because it will become food) so it can mate and fulfill its life purpose. The female then lays her eggs in clusters to give the pupae the best chance at life. How does laying the eggs in clusters help the glowworms? Why, because it's a bit of a survival of the fittest. Whilst the light of the glowworms attracts their food, they need those digestive juices to create that light - and they've got to eat something to get that light... so those baby glowworms eat each other. Eating their siblings, the strongest glowworms then have the energy and digestive juices needed to produce that blue glow and create the web-like strings needed to catch their food. Not the story you were expecting from these mythical looking creatures, eh? 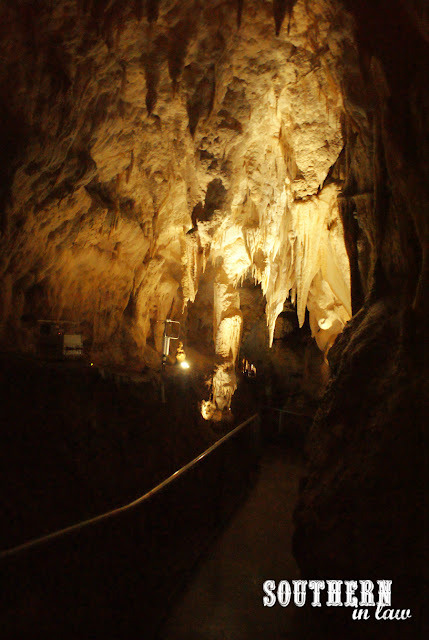 But speaking of stories, according to local Maori legend, the Ruakuri Cave was first discovered around 400-500 years ago by a young Maori hunter who was spearing birds for food. A pack of wild dogs were living at the entrance and that's how the cave got its name. Rua means den in the Maori language whilst kuri means dogs. One of the things I thought was really awesome about this tour is that it's wheelchair accessible. 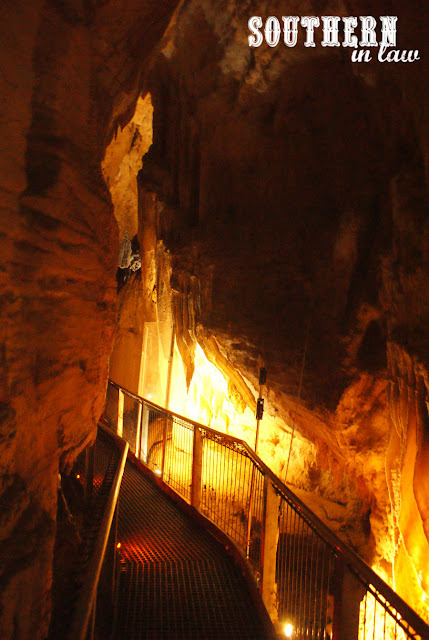 The glowworm caves tour isn't suitable for those in wheelchairs as there are some stairs, however, this one is completely accessible - meaning everyone has the chance to come and explore. 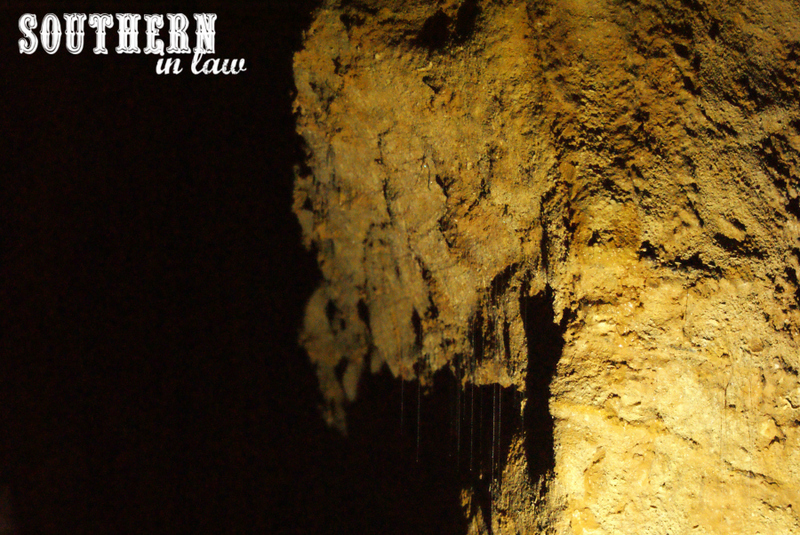 This was the second cave in the region opened to tourists and it has become one of Waitomo's little known secrets. 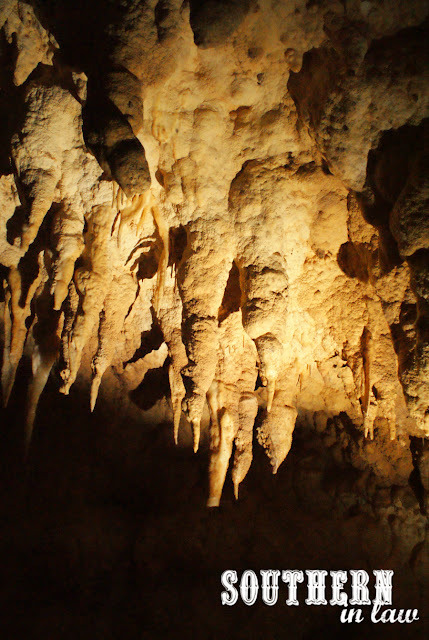 Whilst most tourists flock to the Glowworm Cave Tour, many don't think to do the Ruakuri Cave tour as well. If you're coming to Waitomo and only want to do one tour, this really is the one to do. And Waitomo Caves, if you're listening - Holly really needs a pay rise and a promotion because she is an incredible guide! After a quick stop off at Otorhanga Kiwi House to see the Kiwi Feeding (definitely add that to your must do list - it's the one place you really get to see a kiwi up close and personal as the Great Spotted Kiwi, Atu is very happy to prance around for visitors), we were well and truly ready to call it a night - and we had the best place to call home for the night. We were staying at Kamahi Cottage, a self contained one bedroom cottage in Otorohanga which is just half an hour away from the caves. 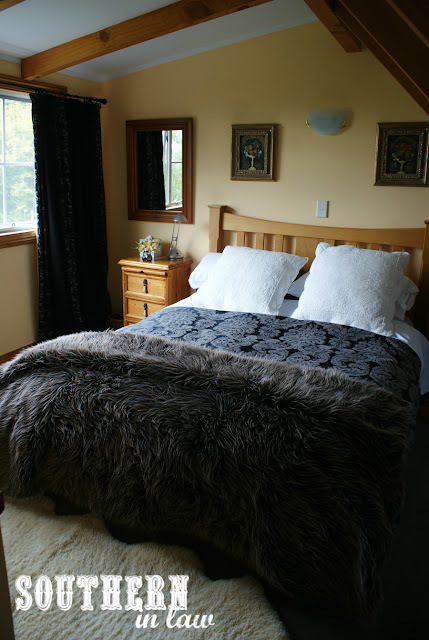 It's New Zealand's only five star farm stay and definitely one of the best places we stayed during our trip. Owners, Elizabeth and Evan have raised their family on this gorgeous 1120 acre sheep and beef farm and Evan grew up on the property as well as it was owned by his family. 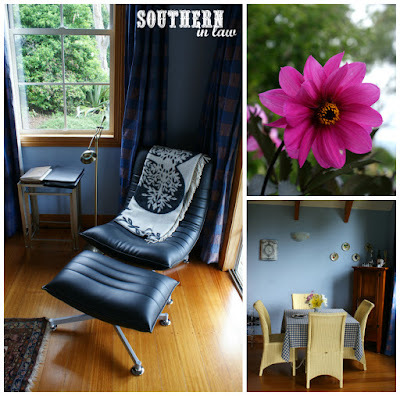 They built the guest cottage to share the peace and beauty of their farm and garden as well as the incredible views and it has been one of the North Island's top rated accommodation options ever since. From the moment you arrive on the property, you know it's one that's filled with love and care. From the incredible blooms that Evan and Liz clearly take pride in, to the little touches like homemade baked goods on the dining table and books stacked neatly on the bookshelves, you really do have everything you need and more. Liz has inherited her mother's incredible cooking, baking, gardening and home-making skills and she brought over an incredible breakfast spread for Jesse the next morning - complete with homemade jams, honey made by their very own bees, homemade muesli and fresh fruit as well as freshly squeezed juice from fruit that was grown right on the property. 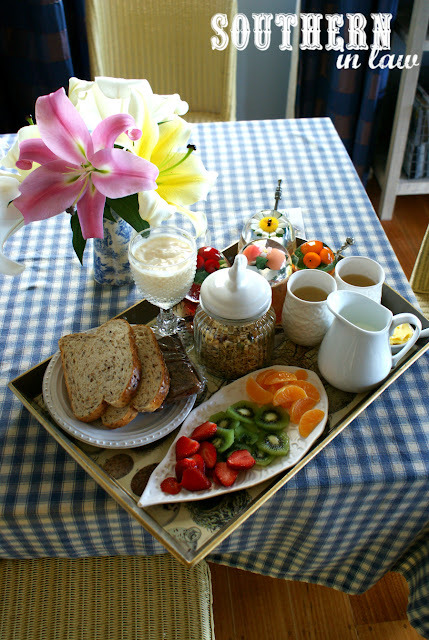 Catering to every kind of allergy and intolerance, Liz goes above and beyond to make sure her guests feel at home; giving them the option of cooking their own meals or having their meals created by Liz and brought over to the cottage - or enjoyed in Liz and Evan's own dining room if you'd like some company. 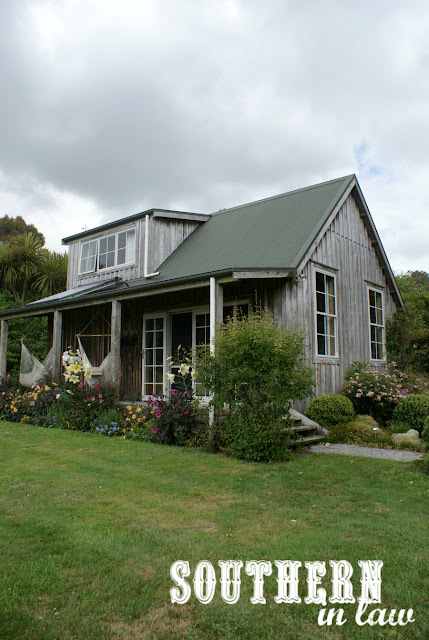 The loft-style cottage really was the perfect place to call home - and we wished we had have been staying there for longer. From spending the evening relaxing in the hammock chairs on the deck, soaking up the incredible views, to a lazy morning curled up in the armchair with a cup of tea and a good book whilst I waited for Jesse to wake up; I could have stayed there forever! Kamahi Cottage - sleeps up to 4 from $325 per night. Find out more here. 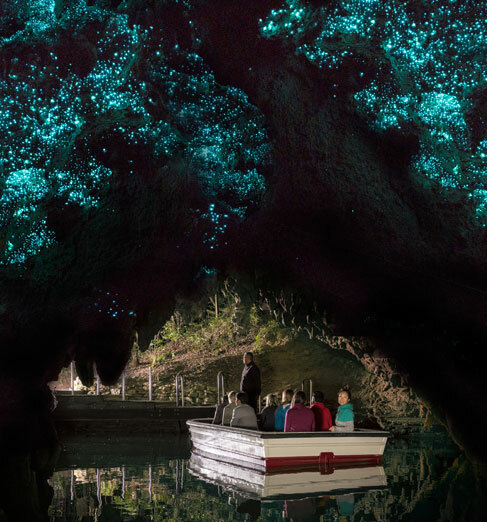 Waitomo Caves - Glowworm Tour $49 NZD Adults | $22 NZD Kids - Ruakuri Cave Tour $71 NZD Adults | $27 NZD Kids - Check the website for tour combos and discounts! Kristy and Jesse explored NZ as guests of Tourism New Zealand. But tell me, have you ever seen a glowworm? Do you have any interesting facts to share? Jesse calls me Sheldon (from the Big Bang Theory) because my brain is a treasure trove of facts! And what does your ultimate vacation accommodation look like? 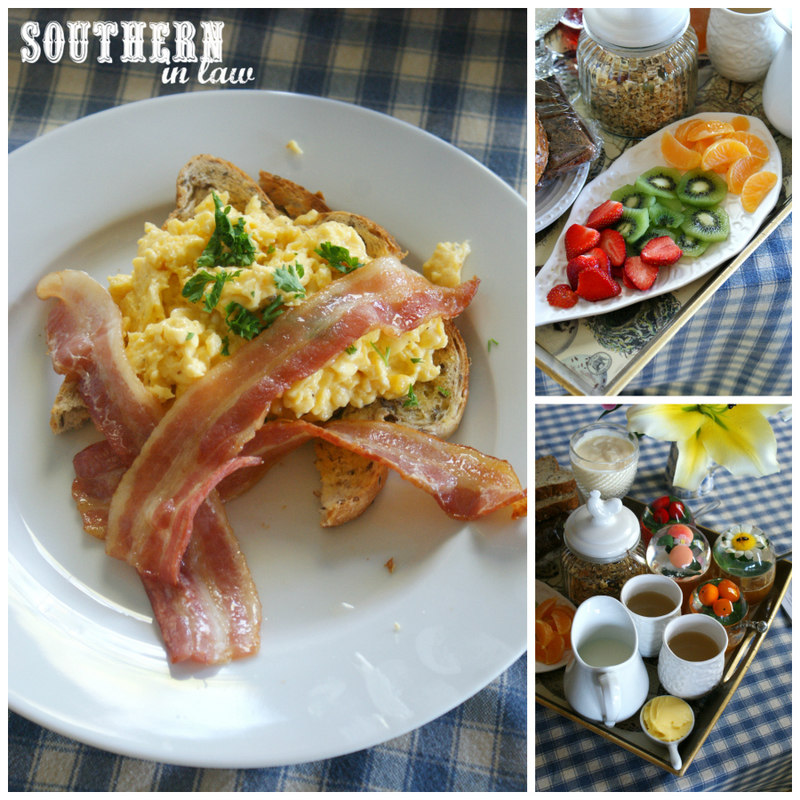 I love nothing more than somewhere I can relax and refresh - and Kamahi Cottage certainly delivered on that!